In collaboration with AccorHotels, Bangkok’s tallest landmark King Power Mahanakhon will debut Orient Express Mahanakhon Bangkok, named and designed after the legendary Orient Express trains that defined luxury rail travel in the 1900s. Slated to open in the last quarter of 2019, the flagship hotel will feature two signature restaurants, Hong Kong's own Mott 32 and Mahanathi by David Thompson, and a signature Orient Express Spa by Guerlain. Just opened in January 2019, Marriott International’s first Sheraton property is located within Resorts World Manila near Ninoy Aquino International Airport’s newest and largest Terminal 3. The 390-room Sheraton Manila features a resort-like getaway with private gardens and jacuzzis in deluxe guest rooms, while catering to business travellers with The ColLab, a co-working space with six private rooms and a 415 square-metre event space. Set to open in July 2019, Halekulani Okinawa will start accepting reservations on 27 February, 2019. Located in the Okinawa Kaigan Quasi-National Park, the luxury resort will launch an innovative dining concept SHIROUX led by chef Hiroyasu Kawate, who is known for his two-Michelin-starred Tokyo restaurant Florilège, which also ranked No. 3 in Asia’s 50 Best Restaurants 2018. Set in the Maldives’ untouched atolls, The Residence Maldives at Dhigurah will open its door in the first quarter of 2019, connected to The Residence Maldives at Falhumaafushi via a bridge. Each of Dhigurah’s spacious beach and water villas offers direct access to the turquoise waters and features a private pool. After a day of exploring indigenous flora and fauna, guests can unwind at Dhigurah’s Spa by Clarins, which includes a hair and beauty salon and a yoga garden deck overlooking the ocean. Just opened in January 2019, Wyndham Grand Yangon is located along the shores of city landmark Kandawgyi Lake and presents itself as a luxurious urban oasis that immerses guests in Yangon's history and culture, from the room interiors, dining options to amenities. With spectacular views over the golden Shwedagon Pagoda, the hotel features 291 rooms and suites that are designed to offer an authentic Burmese experience for business and leisure travellers. Upon the completion of a multimillion-dollar facelift, Sheraton Imperial Kuala Lumpur Hotel reopens with an increased room inventory of 398 rooms refreshed with contemporary finishings. 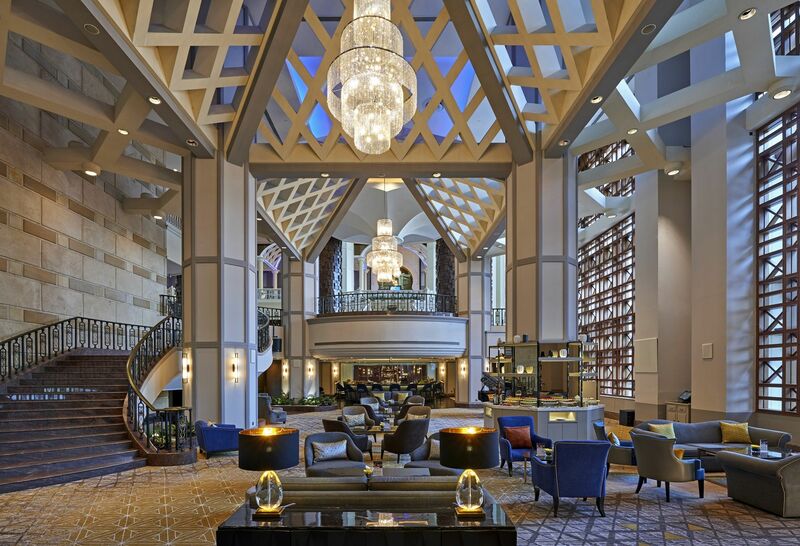 The Club Lounge, meeting facilities and dining outlets have been revamped with modern interiors and the latest technology, with heritage characteristics to echo the hotel’s location connecting to the rich Malaysian Heritage area of Dang Wangi.